One autumn morning not long ago, I walked to an Oxford cafe, took a window table on the third floor, and pulled out my journal. I wanted to craft a statement – a creed of sorts – that would pull together what I’d learned while writing my new book The Making of Us. Something that captured what matters most in life. Something to read regularly to guide me forward. After many scribbled phrases and crossings out, I arrived at this: The Creed. 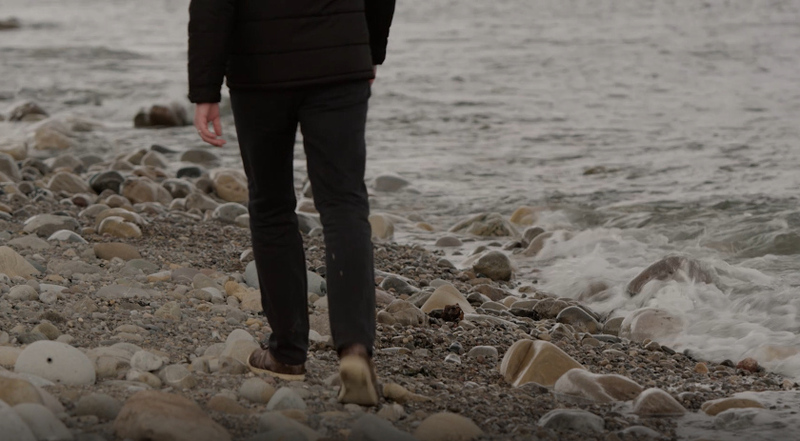 You’ll find the full text in the closing chapter of The Making of Us but here is an abridged version, crafted into video form by Tyler Jackson, and available below as a downloadable print for your wall or smartphone. The hand that spins the galaxies wants you here. The hand that spins the galaxies brought me into being. The One who holds the stars has made me his own. I am God’s child. My life is rich, my days are sacred. edges of this expanding universe. I am a pilgrim in this world, in search of wisdom and wonder. I will take new adventures. And follow God into the unknown. What I achieve is not as important as the person I become. So I will seek to imitate the Nail-Pierced One. I will step in the direction of my strengths and talents. They are Spirit-given tools for my God-given tasks. I will pay attention to my persistent aspirations. They could be the whispers of God. I will serve all I can and walk deeply with a few. I will aim for great things but leave my legacy to God. The path is long and the terrain at times hard. I will not wish for another’s life. I will take my place, play my part. Something important will be missed if I don’t. For the hand that spins the galaxies wants me here. 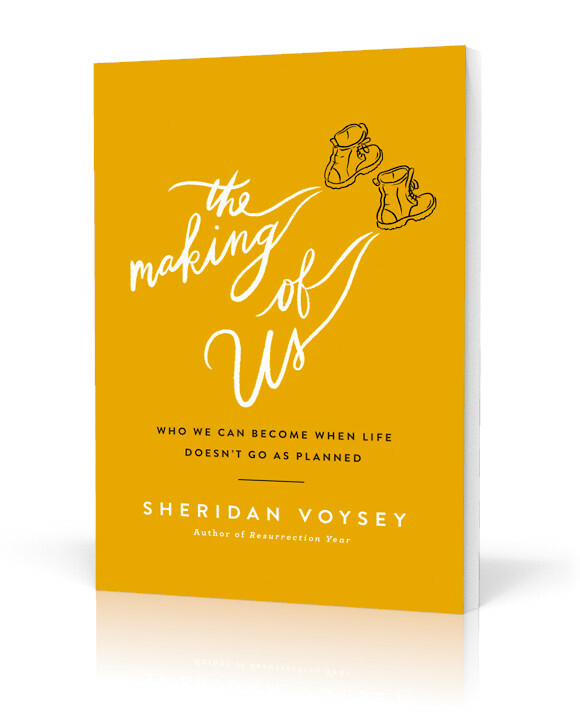 Adapted and abridged from The Making of Us: Who We Can Become When Life Doesn’t Go as Planned by Sheridan Voysey. Order through your local bookstore or any online retailer. Enter your name, receipt number and the store you purchased from below. You will also start receiving my blog posts (and other goodies) by email. By subscribing you consent for your email to be used to send you blog posts and other information from me. Your information will never by handed to another party for marketing purposes, and if you change your mind you can unsubscribe at any time. More on privacy here. Step 3: Check Your Inbox! You’ll receive an email within 20 minutes (if you don’t, check your junk folder). 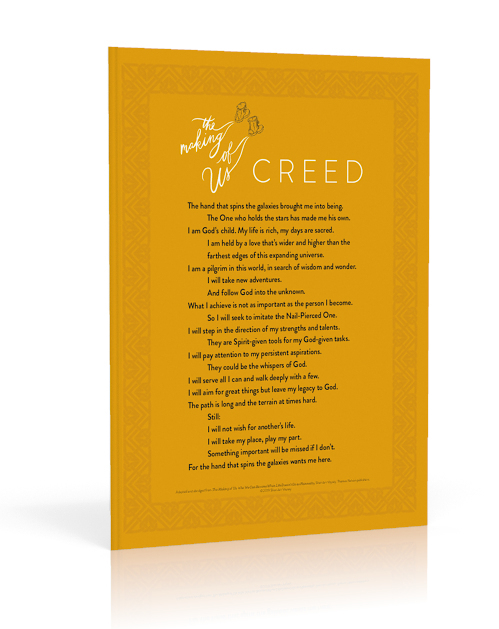 Use the download links to read, print and enjoy The Creed! 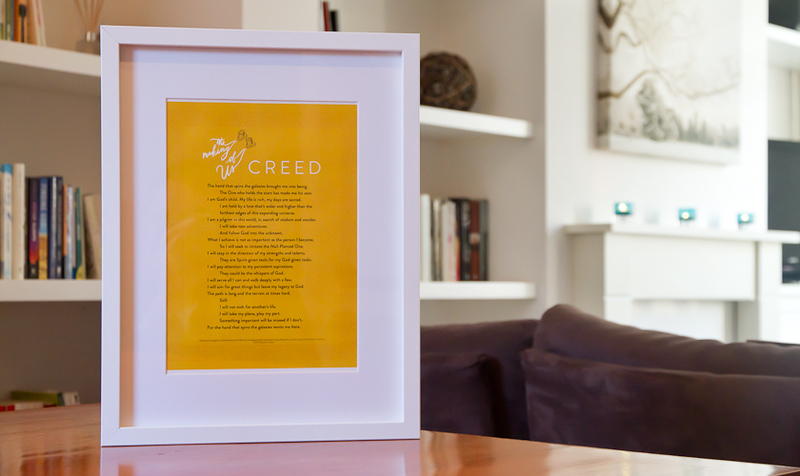 Whether as a regular meditation or the basis for your own Rule of Life (see the Personalisation Guide mentioned above), The Creed has been crafted to help you move forward. Here are some ideas on making the most of it.